Established and owned by the Watumull family since 1977, Happy Shirts has had a 30 year tradition of providing the finest decorated garments to the resort and custom market in the Hawaiian Islands. 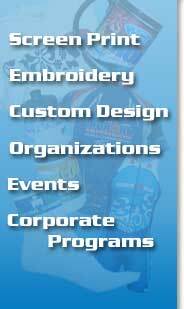 We are a full service screen printer and embroiderer providing custom graphics all the way through to finished product. We are the largest screen printer in the islands focusing on larger customers and high to mid tier retailers.